You've probably heard it said that if you are in the market for real estate, you need to look at 100 houses before buying one. This may be an exaggeration, but it's hard to dispute the idea that you can't figure out what you want until you see what's available. The same holds true of real property deeds. If you are buying property in Texas, you may think that deciding on a home and getting an offer accepted are the only things you have to worry about. But the Lone Star State recognizes a handful of different types of deeds, all of which transfer a property interest, but the protections they offer are not the same. Your best bet is to read up on the ins and outs of Texas property deeds so you know the options before you sign on the dotted line. Before you start "doing the deed," you should understand the purpose of this legal document. Every deed is a written document that conveys title to real property, in the same way that the pink slip on a car transfers vehicle ownership. Just so, a seller of real estate has to sign the property deed and present it to the seller. That's how to transfer property title in Texas. But the purpose of a deed is much more expansive than just transferring title. After the deed is signed, the buyer can file it in the county clerk’s office in order to let everyone know about the transfer. Note that the signatures must be notarized for a deed to be recorded. The recording of the deed protects the buyer from people who put liens on the property to secure debts of the prior owner. If you don't record, these people can claim that they didn't know you owned it. Assuming every owner records a deed after acquiring property, anyone (a lender or a member of the public) can go to the recorder's office and trace ownership of the property by linking up the chain of deeds conveying ownership over centuries. Liens or encumbrances on the property are also recorded there, as well as documents releasing them. What Are the Different Types of Property Deeds? What Is a Quit Claim? Note that recording is not a legal requirement in Texas. The state has no law requiring that a deed be recorded in order to be valid. And, between buyer and seller, the deed is valid without being recorded. However, Texas is one of the states in which recording establishes priority in the event that a bad-news seller transfers the property twice. The fact that you recorded the deed puts everyone else on notice of your interest in the property. No document is more important to someone buying property than a deed, so don't leave it to the title company to decide what type of boilerplate deed form to use. Texas law recognizes four different types of property deeds that transfer an interest in real estate: a general warranty deed, a special warranty deed, a no-warranty deed and a quitclaim deed. What Is a General Warranty Deed in Texas? The general warranty deed is the legal document most people use for real estate transactions in Texas. "Warranty" means a legal promise, an assurance, a pledge, or a guarantee provided by one party to another party that specific facts or conditions are true or will happen. 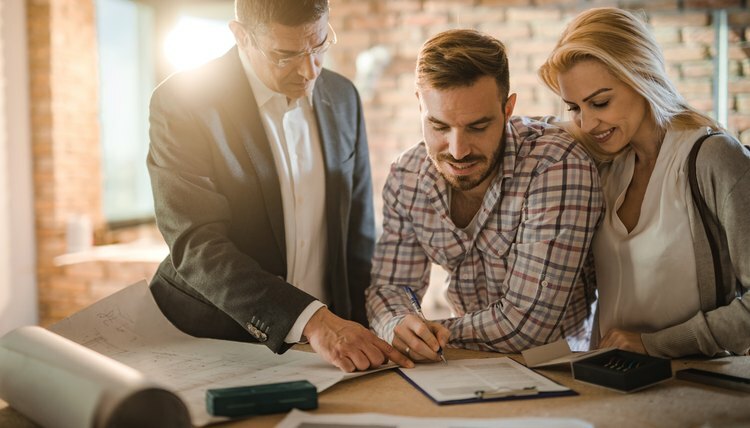 The general warranty deed is the default deed in Texas, the go-to deed, but despite the fact that it is frequently used in real estate transactions, buyers (and sellers too, most likely) don't always understand the guarantees and protections that it offers. When you buy a house, you want to be sure that the seller owns the interest he is transferring. You also want to be sure of the different liens and encumbrances on the property. What are liens and encumbrances? They are interests in the property held by others, including debts that have been secured by the property. For example, if an owner of real estate borrows money and gives the lender a lien on the property, the lender can force a sale of the property if the owner doesn't pay off the debt. Or, if an owner of the property doesn't pay his taxes, the taxing authority gets a lien on the property to secure the debt. In a real estate transaction, the seller lists all encumbrances, liens and easements that affect the property or title. This is part of the required documentation during a sale, and it's important. The buyer wants to make sure that she knows all of the claims or potential interests that can impact the property she is buying. In a general warranty deed, the seller transfers full ownership rights and warrants that he owns full title and full rights in the real estate. He also promises the buyer that she won't face title challenges. To this end, he warrants that his title to the property is free and clear of any claims or encumbrances other than those he has listed in the disclosure documents. The seller also agrees to defend the title to the property against the claims of all persons coming forward to assert other interests in the property. A deed containing these broad warranties provides good protection for the buyer. That's why a general warranty deed is not just the standard real estate transfer deed in Texas – it is the standard deed used to transfer real property throughout the entire country. If you are not getting a general warranty deed when you buy property in Texas, you are going to want to know why. What Is a Special Warranty Deed in Texas? If the general warranty deed provides excellent, broad protection to the buyer in Texas, the special warranty deed must provide even more, right? Because one is only "general," but the other is "special." That is a natural assumption, but alas, it is entirely wrong. Use of the term "special" is a little misleading in this circumstance since a special warranty deed provides far less protection for the buyer than a general warranty deed. It is a "special warranty" in that it provides a specifically limited warranty. Remember, the general warranty deed guarantees that the property conveyed to the buyer is owned by the seller and is free of all and all potential claims other than those disclosed in the real estate transfer documents. This means that the buyer guarantees not just that he didn't encumber the property or transfer an interest during the years he owned it, but that no prior owner encumbered or transferred an interest, either. A buyer signing a special warranty deed doesn't duplicate or exceed these promises. In fact, he only makes the warranty in terms of what happened while he owned the property. Specifically, he guarantees that he did not encumber the property or transfer an interest during the time he owned it. He makes no promises or pledges about what happened before he owned it. To put it slightly differently, if you take title under a special warranty deed, the seller guarantees that you won’t face any legal action or title issues as a result of events that happened while he owned it. It does not offer any promises or guarantees that earlier owners held title free and clear. The seller will defend the title to the property against the claims of anyone challenging title or ownership during the time he held title, but not during the time its previous owners held title. That means that, unlike general warranty deeds, a special warranty deed does not provide the strong link in the chain of ownership that a general warranty can offer. What Is a No-Warranty Deed? So, a general warranty deed guarantees that title is clear and unencumbered back through history to the first owner, and special warranty deeds guarantee actions occurring during the seller's ownership. Is there a no-warranty deed in Texas? Yes, there is a no-warranty deed. If a seller doesn't want to make any warranties of title at all, she uses a deed without warranty. Obviously, this type of deed offers no protection, and it is hard to imagine a buyer who would accept such a deed in most circumstances. This type of deed is generally used only as a means of clearing up past title problems. What is a Quitclaim Deed in Texas? A Texas quitclaim deed is a document in a category of its own. It is an often misunderstood type of deed. Not only is it often erroneously called "quick claim," but many buyers and sellers think of it as a cheap alternative to a more complex deed. However, a quitclaim deed is hardly a deed at all. It doesn't actually convey any title at all. Rather, it releases or relinquishes any interest or any claim someone might have to the title. He "quits" those hypothetical claims, stepping back from them in favor of the person taking the quitclaim deed. Again, a quitclaim is usually not a good choice for an arm's length real estate transaction since the buyer cannot be sure that the seller owns any interest at all. These deeds are usually used to clear up title issues rather than to transfer real estate ownership. For example, if title to property being sold is in one spouse's name, the other spouse may be asked to sign a quitclaim to get rid of the possibility that a marital interest exists. Alternatively, they are used for transactions between family members. What Is a Texas Deed of Trust? So, these are the four deeds of trust commonly used to transfer a property interest in Texas. Well, what about a deed of trust? Isn't that a deed? Not exactly. A deed, like the four types of deeds outlined above, is intended to transfer an interest in real property. Don't confuse a deed with the loan documents on the property which are intended to set out the details of the loan and the promise to repay. Most buyers need to finance a real estate purchase, and that means that a lender is involved. The primary loan documents used in a Texas real estate purchase are a promissory note and a deed of trust. The promissory note (also called a real estate lien note) is basically a written promise that the person buying the house makes to the lender who is providing the financing. The note is signed by the borrower and by signing, she acknowledges the loan and also promises that she will repay it. The details of this repayment are set out in the terms of the note, including the interest rate, the loan fees and the period of the loan. The deed of trust is a legal document that gives the lender remedies in case the borrower doesn't keep up the payments on the note. It allows the lender to foreclose on the property if the borrower doesn't repay the note. Foreclosure means that the lender sells the property and is repaid from the proceeds. Most Texas residential real estate transactions use three principal legal documents. They are the warranty deed, the promissory note and the deed of trust. Spengler, Teo. "The Definition of a Special Warranty Deed and Deed of Trust in Texas." , https://legalbeagle.com/6372477-definition-deed-deed-trust-texas.html. 15 October 2018.